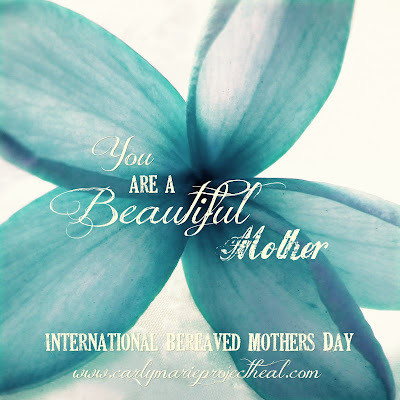 I don't know how I missed that there was such a thing as an International Bereaved Mother's Day! There's a Bereaved Father's Day, too, which I am glad of because I find that dads seem to get left behind a bit on these infant loss initiatives. Autumn was about 16 months old there. Already sporting a purse and a phone, hahaha. It's crazy how much she has changed but it's even more crazy how much she is the same: facial expressions, things she likes to do, the hoarding...it's so exciting (and bittersweet) to watch her grow up. Anyway, for some reason, knowing that people took the time to declare a day for moms who have lost their children makes the weight of next week feel a little better. If you like, take a moment to visit Project Heal. I don't know how I'm just seeing this site. Or, what's probably more likely, I did see it and then forgot because last summer is kind of a blur sometimes. There was another post on grief that I enjoyed quite a bit. I believe I've linked to Rachel Held Evans's blog in the past. She had a guest writer talk a little about processing grief with her children. It's a great post. If you look down in the comments, you'll see where I left a comment and the author replied. Nice, thoughtful stuff all around. If you look to the left, you'll see I added a link list to the side bar. Other than Bethany, they are all grief and infant loss support sites. I will be adding as I think of resources but definitely email me or leave a comment and let me know if there's a site you have found helpful.